12056 Se Birkdale Run Tequesta, Fl 33469 has been sold. COMPLETELY RENOVATED HOME WITH LAKE AND GOLF COURSE VIEWS. 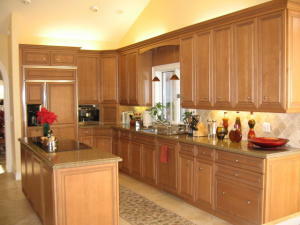 CUSTOM CABINETS IN LIVING ROOM, DINING ROOM AND FAMILY ROOM. TOTALLY REDESIGNED KITCHEN. NEW - ROOF, WATER HEATER, AND 2 A/C UNITS. 18 INCH MARBLE FLOORS ON THE DIAGONAL IN ALL LIVING AND BATH AREAS. LOFT CAN BE USED AS 3RD BEDROOM WITH CLOSET SPACE ADDED AND FULL BATHROOM. THERE IS NOTHING LEFT TO DO BUT BRING YOUR CLOTHES. FURNITURE IS NOT INCLUDED BUT NEGOTIABLE. JUPITER HILLS HAS A MANDATORY ONE TIME HOA FEE OF $10,000 FOR NEW HOME PURCHASERS. 12056 Se Birkdale Run located in Tequesta, FL is a townhome with 3 bedrooms, 3 full baths and 1 half baths.The Townhome at 12056 Se Birkdale Run was built in 1990 in Jupiter Hills and offers a 2.5 car garage. This Jupiter Hills Townhome offers pool, golf course, tennis, picnic area, street lights. 12056 Se Birkdale Run Tequesta, Fl is currently listed for $690,000 under the MLS# RX-10296533. This Townhome has been put on the Tequesta MLS system and currently has a status of SLD.